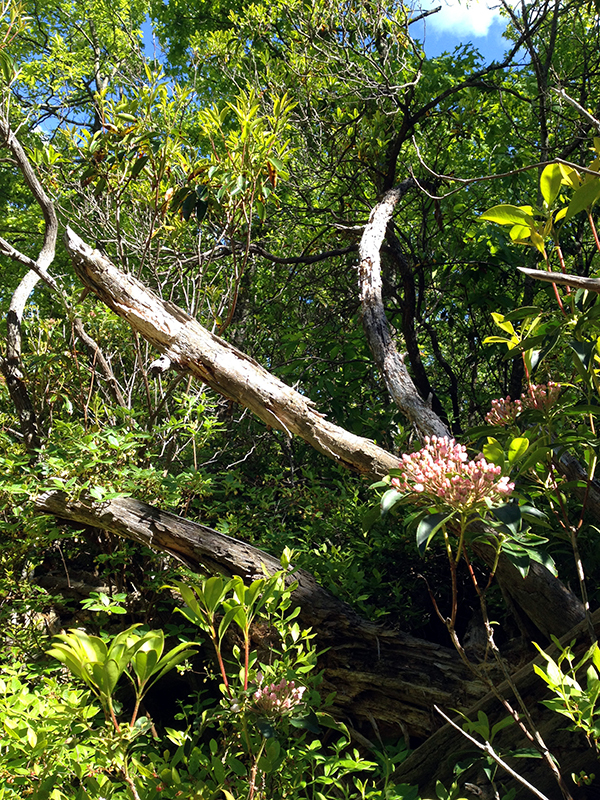 Last week I took the first hike of summer with a visiting friend and Tuck. We did about 9 miles straight up the Blue Ridge from Sugar Hollow to the Blue Ridge Parkway and back down. Of all the mountains I’ve lived near and climbed, all across this country, there is something so comforting about the Blue Ridge. Probably that feeling comes from growing up here, from these being my “native” mountains. 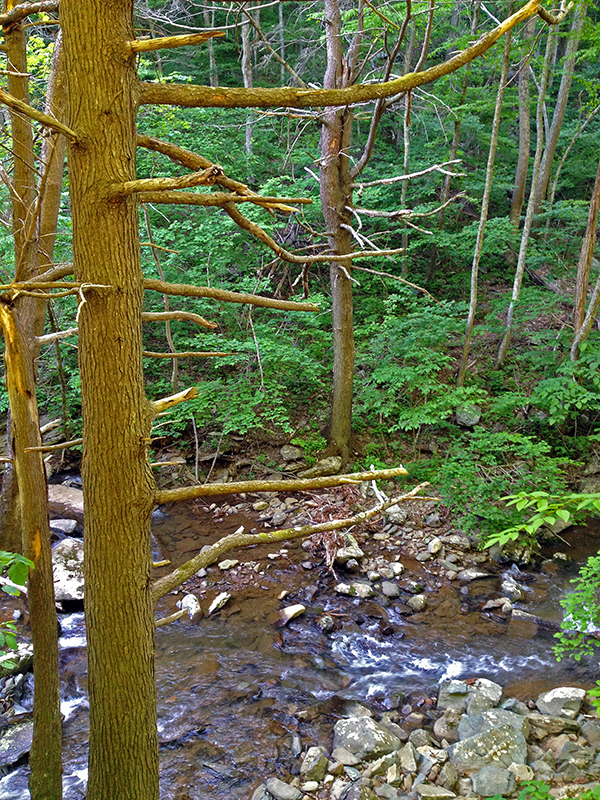 The hike we took last week began as one I used to take with high school friends, up past a swimming hole where we’d go to cool off in the summer. I think there is something very sweet and wonderful about walking, as a 34-year-old, the same trails I walked at 17—only this time with a friend made when I was 24 and the dog I never dreamed of having as a teenager. 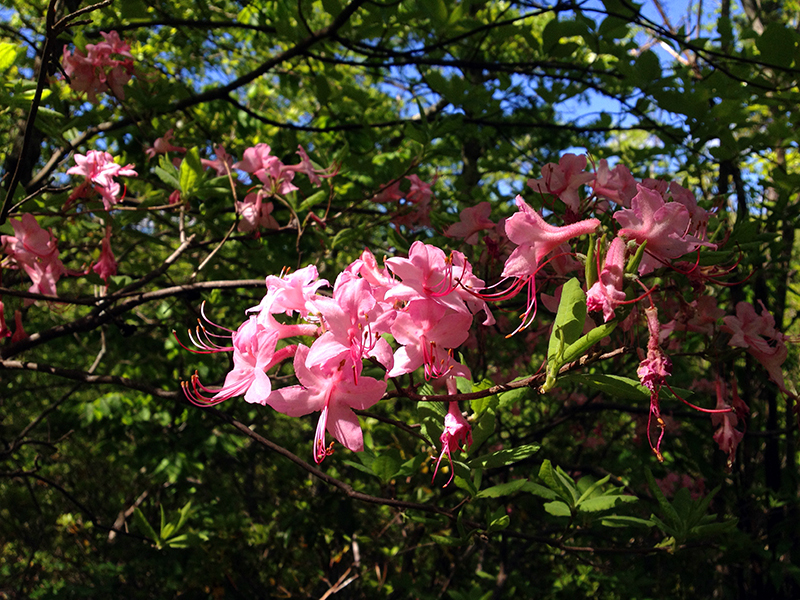 Up near the ridgeline it was still spring, and the wild azaleas were fragrantly blooming. 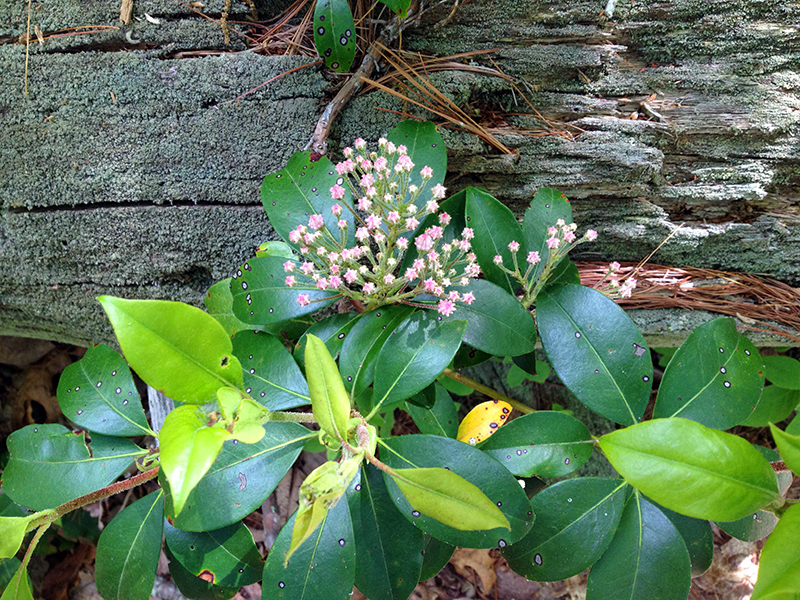 The mountain laurel, with its buds that remind me of just-exploded fireworks, had yet to flower. 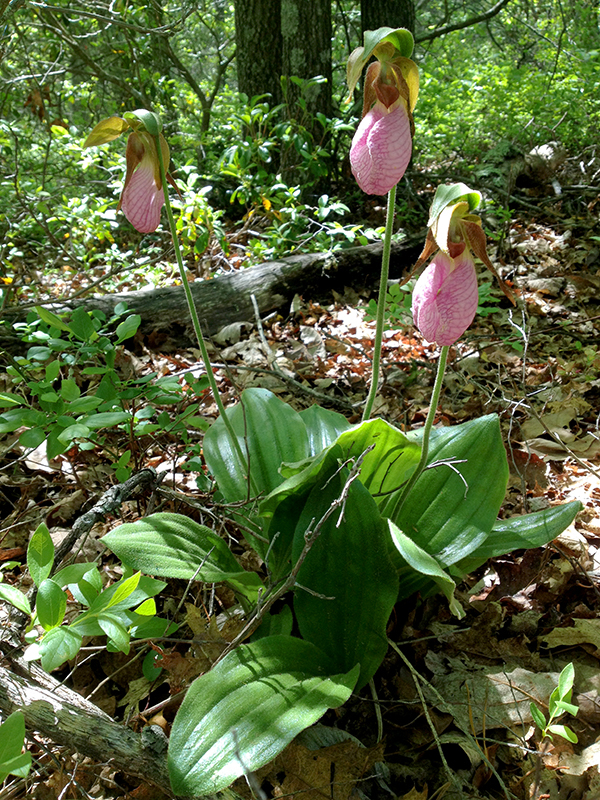 I was delighted to see several thriving clumps of pink lady slippers. These native orchids take many years to go from seed to blooming maturity, and can live to be twenty or more years old. These couldn’t have been more perfect specimens. 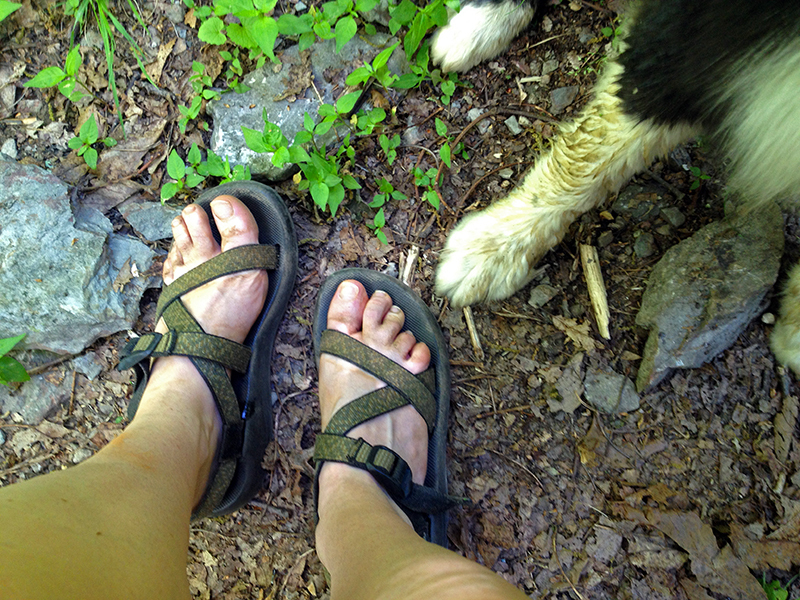 …which made me glad of my choice to hike in sandals, despite our dirty paws! Fantastic! 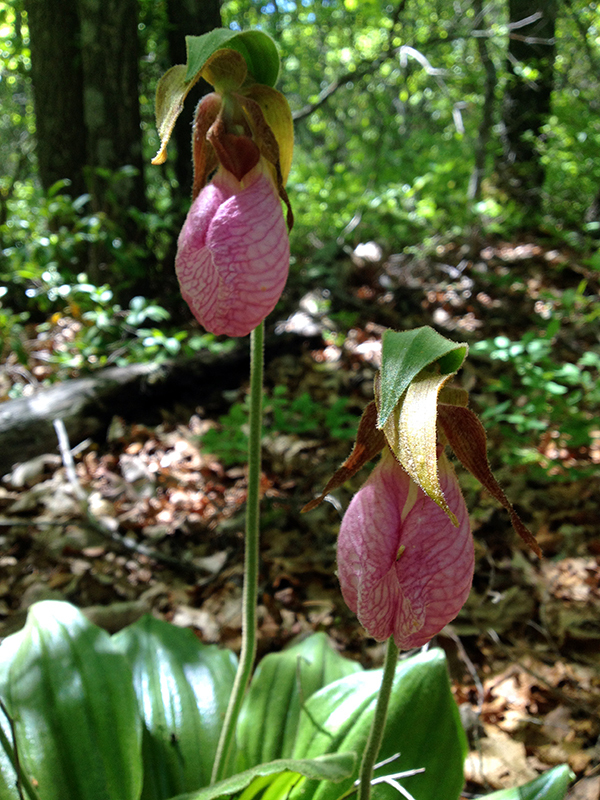 Love the lady slipper orchids! Thank you for sharing! 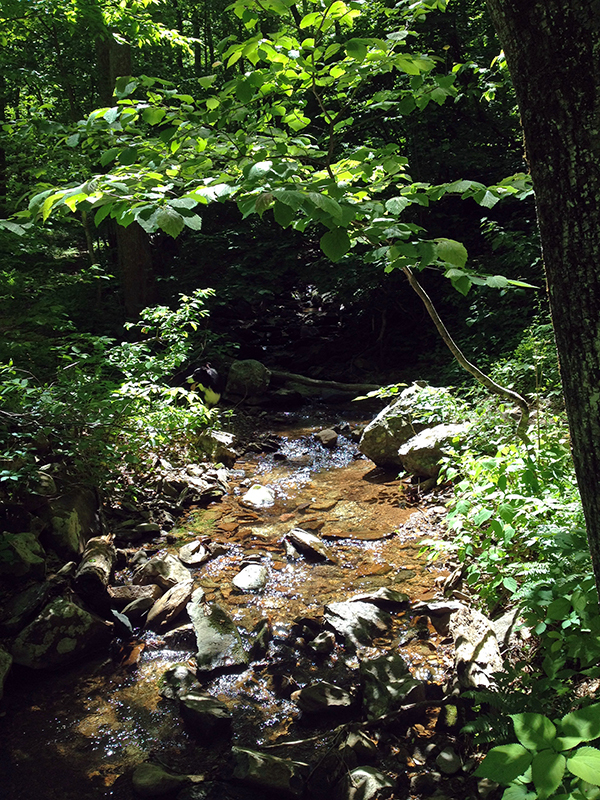 You are currently reading Spring in Shenandoah at Bonafide Farm.